Strictly Ballroom is the film that came out of nowhere (or more specifically the Australian outback) in 1992 to take the world by storm! With its depiction of small town rivalries and ambitions, overlaying the glamour and glitz of ballroom dancing, Strictly Ballroom contains just the right blend of comedy, pathos, romance and (of course) fabulous dancing and great songs! It also shows us how important it is to stand up for your beliefs and challenge the authorities - particularly when it comes to how to dance the 'paso doble'. 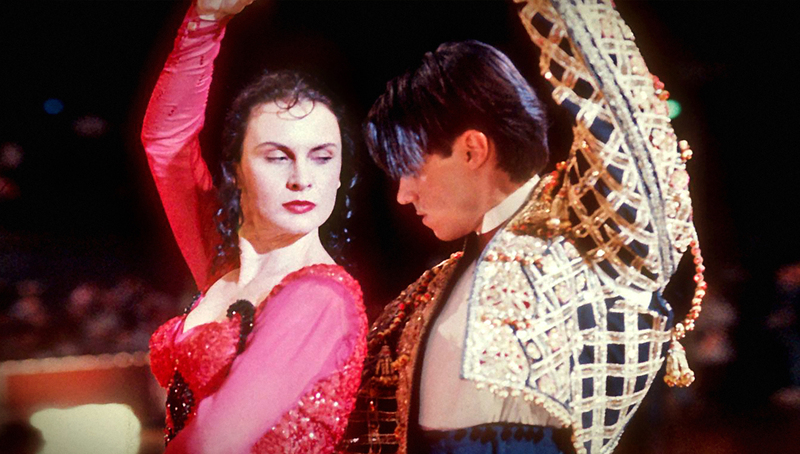 Strictly Ballroom brought director Baz Luhrmann to the attention of the film world. His films have a very strong visual identity and panache, and he would go on to make the fantastic Moulin Rouge and Romeo and Juliet, among others. However, the Guardian wrote that Strictly was "by far his most charming, entertaining and tender-hearted film." This is a special charity screening in aid of Bowel Cancer UK. Doors 7:45 Movie 8:30. Tickets £5 Members £4.